You are here: Home / Dear Diary / All Posts / Summer 2016 Recap! Happy and blessed Sunday, everybody! I hope you all enjoyed your first Sunday of September 2016. It’s hard to believe it’s already September isn’t it? We’re officially 75% done with the year 2016. I know, I freaked out a little when I sat back and thought about it in terms of percentages too. Anyway…Since I was on a hiatus from blogging this summer, I decided I want to share some of my favorite moments from my busy, and exciting summer. I spent a lot of time with loved ones which is always perfect when you live so far away from all of them. I also spent a lot of time traveling, and being a tourist while traveling, which is another one of my absolute favorite things to do in life. Here is a recap of my summer.. This was the month of birthday celebrations. We celebrated my husband’s 28th birthday and our furkid, Ares’, 3rd birthday here at home. I made Kris a yummy homemade cake, and Ares got one of his favorite delicious beef flavored bones. I also flew to Vegas Memorial Day weekend for my best friend (BFFL), Tyree’s, 27th birthday celebration. I had tons of fun and this was my first trip by myself since becoming a Mommy. So it was kinda sorta a big deal. My youngest sister, Maya, flew to Montana to spend the entire summer with us. It was great having her here and Jordyn loved harassing her Auntie “Ma-YUH” all summer long haha. Jordyn turned the big 2 years old on the 18th of June. We celebrated her 2nd birthday in Spokane, WA with her Auntie Maya, Godfather/Uncle Jon and his awesome girlfriend, Miss Zoei. We went to a fun trampoline place where Jordyn thoroughly enjoyed herself to the point of throwing her first ever temper tantrum when it was time to leave. We fine dined for her birthday dinner at, Clinkerdagger, where we had excellent service and Jordyn even scored us a free full dessert spread! Jordyn attended her first 4th of July parade here in town. She enjoyed waving to everyone on the floats and receiving awesome gifts from them in the process. Her favorite was the lollipop lady by far. We went to visit my friend, Charelle, in Ashland, MT. Charelle and her family are Native American and live on the Northern Cheyenne Reservation. While we were there visiting, my family and I had the amazing opportunity to attend our first ever Native American Pow Wow. We even got to see miss Auri B. (Charelle’s oldest daughter) in her authentic Native American dress. The Pow Wow was too beautiful and spiritual to put into words. And there was FRY BREAD EVERYWHERE. (If you haven’t had fry bread…you’re missing out in life) Jordyn got to get on her first horse named, Little Doc, at Charelle’s parent’s house thanks to Mimi Marla (Charelle’s Mom). She loved it so much all she could do was smile from ear to ear the entire time. Jordyn LOVES animals. On July 24th we celebrated my sister, Maya’s, sweet 16 birthday. I made her homemade cupcakes which were organized in the shape of the number 16. We also celebrated my Mom’s 49th birthday on, July 26th. Unfortunately, my Mom caught a really bad cold while she was here for her birthday so we didn’t get to do too much partying the day of her birthday. I did make her yummy turtle brownies per her request and she loved them. We even got to celebrate my Mother-in-law’s birthday while we were home by throwing a surprise birthday get together for her. We all had such a great time! 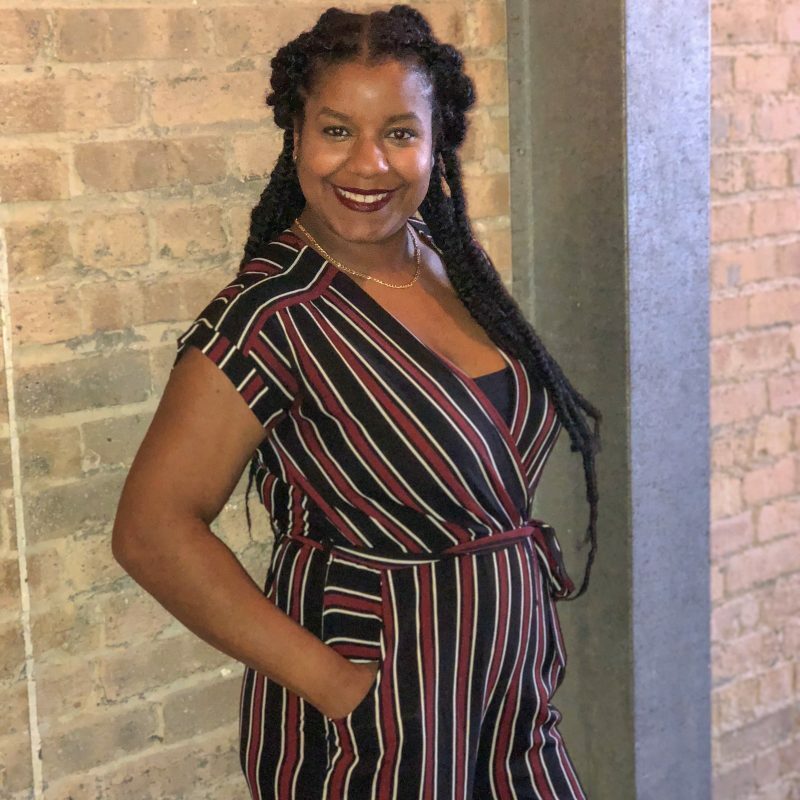 While in Chicago I also organized a night out with my friends at a place called, Beercade (River North), and we had SO much fun. You pay for your drinks and food, but the place is filled with old school arcade and pinball games. Seriously…it was great and I highly recommend it for anyone looking for a good time. I experienced my first movie in Millennium Park with my cousin, Ashley, and her friend Desiree. We saw Grease and enjoyed singing along to all of the songs with thousands of other people in the park. My friend, Katie, told me about the Raised Bar Chicago, rooftop bar at the Renaissance Hotel, and I decided to have a few of my girlfriends meet me there one evening. The location/scenery was beautiful, the drinks were strong, it wasn’t crowded, and it was a perfect Chicago summer evening. I highly recommend Raised Bar to anyone looking for a great rooftop bar downtown Chicago. As you can see we were quite busy this summer, and I didn’t waste any time during my hiatus from you guys. It was spent wisely haha. Did you accomplish or do anything this summer you really enjoyed? Share you own favorite summer events and memories with us in the comment section below! I hope you all have a great Sunday evening and upcoming week!